Dry ice is frozen solid carbon dioxide which when placed into hot water sublimes into a gas and forms a thick white cold vapour which hangs low to the ground. Dry ice is available in two main varieties – pellets and blocks. Pellets have a larger surface area, so produce a larger effect. A block will last longer, but won’t be as spectacular. Due to it’s extreme cold, dry ice must only be handled wearing thick non-woollen gloves. Skin damage will occur if you touch dry ice directly. It goes without saying that dry ice must not enter your mouth! Do not store dry ice in a freezer. The surface temperature of a block of dry ice is much lower than the freezer can maintain (minus 109.3 degrees Fahrenheit or minus 78.5 degrees Centigrade), and damage to the freezer may result. Also, dry ice should not be stored in an air tight container. As the dry ice sublimes, gas is produced which will cause a build-up of pressure, eventually resulting in an explosion. The best way to store dry ice is in a polystyrene box with a loose fitting lid. The box should be packed with newspaper to help the dry ice keep itself cold. Long-running shows or those that require a large amount of dry ice often use Carbon Dioxide gas bottles to produce their own dry ice on site, on demand. This removes the wastage due to storage losses. If there’s more than 5% carbon dioxide in the air it can be toxic – suffocation will result if there’s an actor or technician in that environment. The dry ice effect is created on stage by immersing pellets or blocks of dry ice into boiling water. This is usually achieved by a Pea-Souper device (see video below), named after the London fogs in Victorian times. Haze is designed to hang in the atmosphere, and to enable light beams to be visible. Striking effects can be achieved. 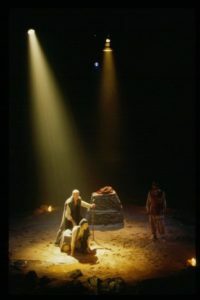 Many effects lights rely on the presence of haze to show up the beam, as the actual points of the stage which are illuminated by the light are not relevant – only how the beam looks travelling through the air. Haze may disperse quite quickly, depending on the venue, humidity, air movement, and number of people present. Obviously an air conditioning system will remove it much faster. There are a number of different options for hazers, based on volume of haze produced, dispersal time and noisiness of the machine. As with all such things, you get what you pay for, so beware of choosing the cheapest option. If you can hire a machine to try it out first in your venue, that’s usually the best bet. Hire companies won’t stock unreliable or uneconomical machines, so if you can’t hire it, use that as an indicator. Smoke machines produce a thick cloud of white smoke which disperses relatively quickly, and can be used to obscure vision. Although coloured smoke isn’t possible from a smoke machine, great effects can be achieved by lighting the smoke in different colours. Some vertical smoke machines have LED lights built into them, so dense vertical plumes of ‘coloured’ smoke can be created. Low Smoke gives an effect similar to dry ice, and uses a normal smoke machine feeding through a chiller unit or module. This cools the smoke, and makes it hang lower towards the stage. It is not as effective as dry ice, but is far more cost-effective, and has none of the safety hazards connected with dry ice. 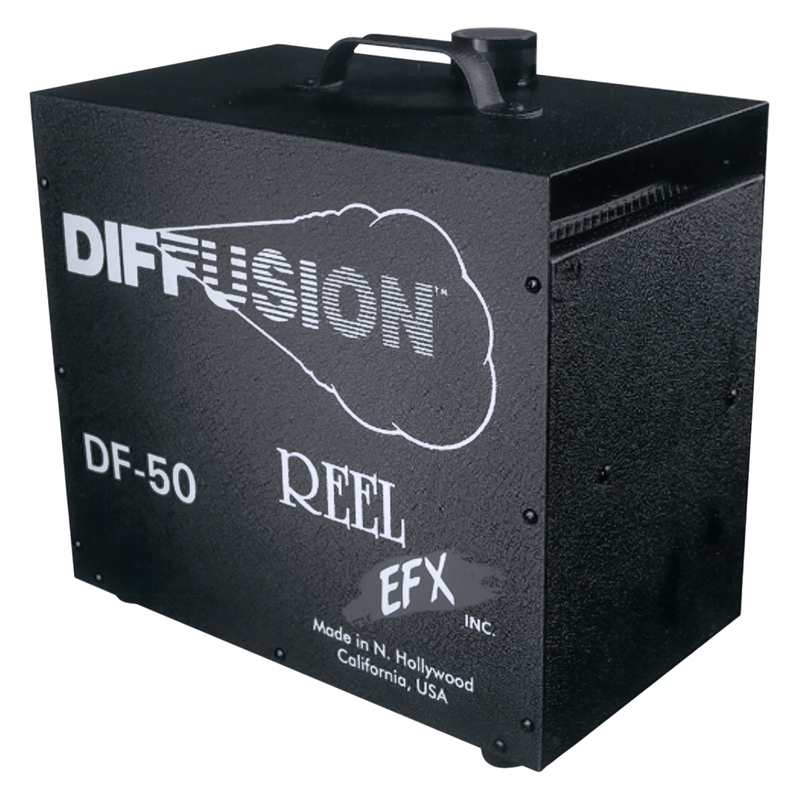 The Freezefog Pro is used in conjunction with a Le Maitre Freezefog enabled smoke machine, such as the G300mkII or G300MkIII, to produce an extremely powerful dry ice effect. 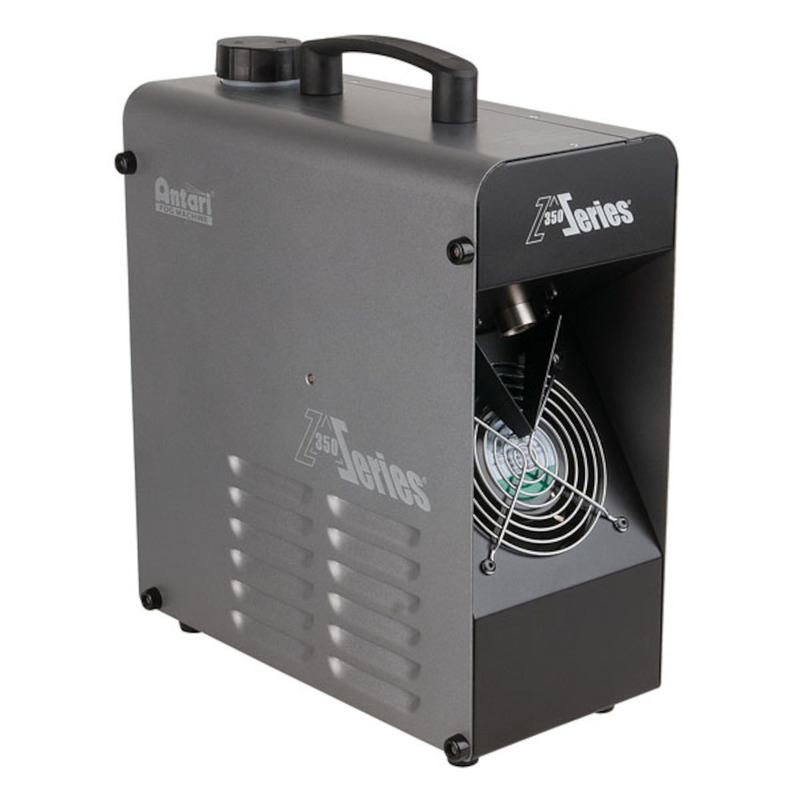 The smoke machine pumps a specially formulated low smoke fluid into the Freezefog unit where it combines with either high or low pressure liquid CO2 from a remote mini tank dewar. The effect is long lasting and residue free, remaining low lying and very cold. 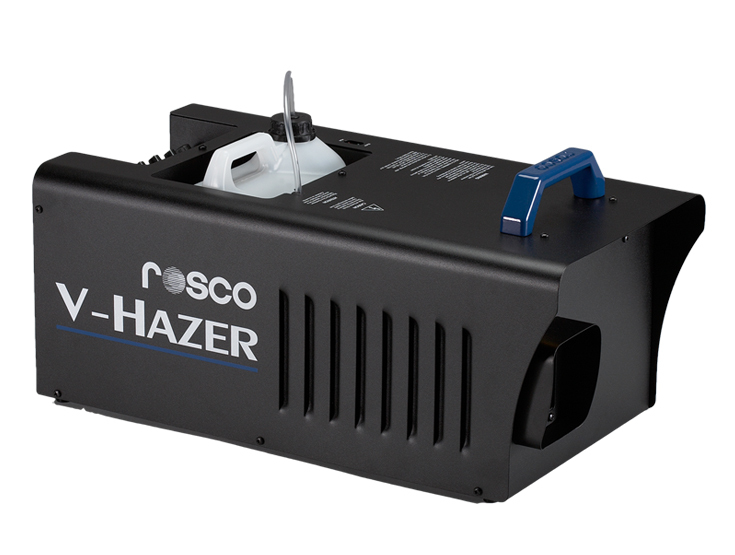 A particularly popular effect with theatrical shows, tours, theme parks, film & TV productions, the Freezefog Pro is ideal for large venues and outdoor use.